I’m sure Steve Jobs could use this to his advantage. Whenever I leave the PC, Ozzie curls up in my chair and goes to sleep. 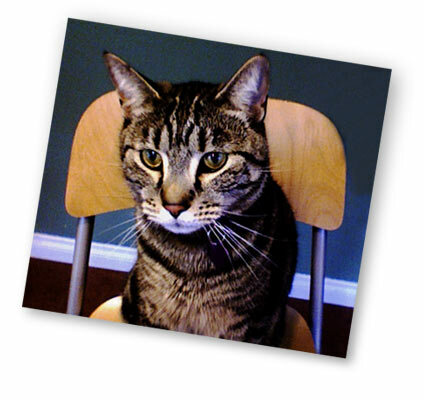 But, when I leave the MacBook Pro, he jumps up into my chair and checks kitty email. Damn those Macs are good. Just a few weeks ago our household kitchen conversation turned to the Seven Wonders of the World. We quickly got bogged down on the original Seven vs. the ‘modern world’ Seven vs. the marketing world’s Seven. Not even my own family was buying the argument that Ouimet Canyon in Ontario is one of the Seven wonders of the Canadian world. Ingrates. Of the original seven wonders only the pyramids are left, and they’re not the ones in Vegas either. 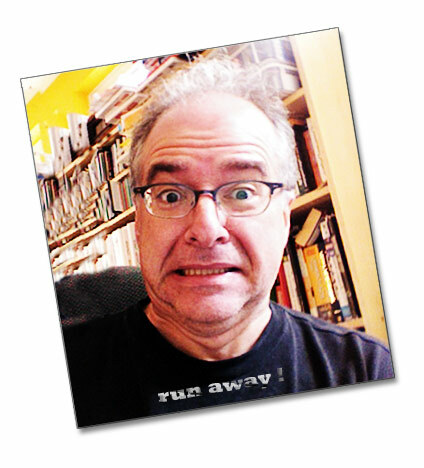 Today our world is so loaded with wonders that, uncomfortable with the gaping lacunas in Philon’s legacy, a Swiss-Canadian filmmaker, Bernard Weber, is conducting a popular vote on the Internet to update the list. He says his project is the world’s first global ballot on any subject…. 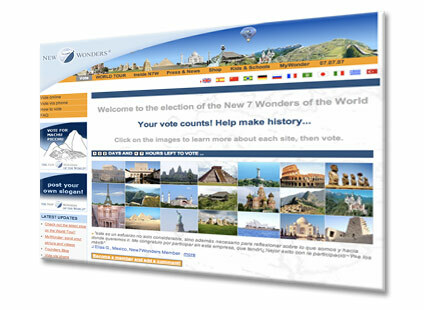 The multimedia campaign to choose the New 7 Wonders of the World is in its final stage. This is the biggest global vote ever to have taken place. Millions of people have already voted for their favorite “wonder.” Numerous milestones have already been reached on a journey across the Internet, television and the world’s media. This journey will reach its pinnacle on July 7, 2007 – 07.07.07, when the world will discover which monuments have been named as the New 7 Wonders of the World. Last Friday’s disclosure of new copyright rates for internet radio could kill legit operators who claim they won’t be able to afford the new rate structure. Internet radio companies big and small are revving up for a fight with the Copyright Royalty Board that could lead to the halls of Congress and — some fear — the end of streaming music stations in the United States. The panicked preparation follows last Friday’s buzz-killing bombshell: As 50 million or so online radio listeners geared up for their weekends, the board released new royalty rates representing a potential tenfold increase webcasters would have to pay out. Almost every analyst claims the new rates will put internet radio deeply into the red, based on current revenue models. How much would you pay for all the back issues of the New Yorker. Is 150.00 USD too much ? Comes on its own USB drive. Now all 4,164 issues and 500,000+ pages of The New Yorker, from its February 21, 1925 debut to April 2006, are available to Levenger customers on one pocket-sized, USB-powered portable hard drive that’s about the size of a PDA. You can take this treasury wherever you take your laptop or use your desktop PC or Mac. Enjoy the fastest, easiest access there is to the complete archives of America’s grande dame of literary magazines. It looks like the big US radio holdings have bought their way out of the “pay-for-play” controversy by putting up some money and providing airtime for independent music. According to the AP story, the four major US broadcasters will fork over 12.5 million dollars to the FCC, and provide 8,400 half-hour segment of free airtime for independent record labels. Full story on the AP Biz Wire. In addition to airplay, the broadcasters and the independent labels have also negotiated a set of “rules of engagement” that will guide how record company representatives and radio programmers interact. The free airtime would be granted to companies not owned or controlled by the nation’s four dominant music labels – Sony BMG Music Entertainment, Warner Music Group, Universal Music Group and EMI Group. Broadcasters have never admitted to doing anything wrong. Webcasters in the US may now face stiff copyright fees for streaming music. Synopsis from Wired Magazine. The Copyright Royalty Board (CRB) has announced its decision on Internet radio royalty rates, rejecting all of the arguments made by Webcasters and instead adopting the “per play” rate proposal put forth by SoundExchange (a digital music fee collection body created by the RIAA). Lots of analysis of what it means over on the RAIN web site, most of it not very optimistic. They do a cost analysis based on current play levels, and it doesn’t look good for either small or big players. Expect to hear lots more about this in the next few weeks.